Order today - out now! 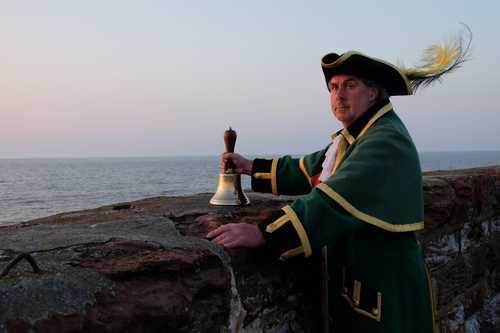 The stunning debut album from the Watchet Town Crier David Milton, the Bell Man of the Court Leet of Watchet. Combining both original and traditional material. All beautifuly produced and sung with the deep clarity and power that befits a Town Crier. Produced by the BBC Radio 2 Folk Award nominated Ange Hardy and featuring David Milton (vocals), Ange Hardy (backing vocals, whistle), The Old Gaffers (shanty vocals), Lukas Drinkwater (guitar, double bass), Archie Churchill-Moss (accordion), Tom Moore (fiddle) and Olly Winters-Owen (percussion). When David Milton asked me if I'd be willing to help him produce this - his debut album - I leapt at the chance. In the years I’ve lived near Watchet I’ve known David as the Watchet Town Crier; but I've also known him as Mr Mommet the Punch and Judy Man, as Santa Claus on the West Somerset Steam Railway, as a singer and leader of shanties at Pebbles Tavern, and as the voice of The Ancient Mariner on my Esteesee album (which was the first time we worked together). I knew David was a sculptor, I knew he was a football referee... but until this project, I didn’t know him as a songwriter. With the musical assistance of The Old Gaffers, Lukas Drinkwater, Archie Churchill-Moss, Tom Moore, Olly Winters-Owen and myself we’ve crafted something that I feel genuinely represents Watchet throughout the years. 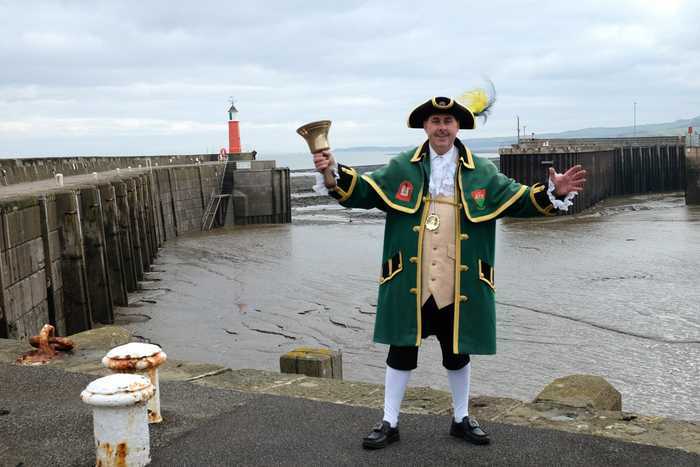 David Milton should be as proud of his own achievements as Watchet should be proud of its Town Crier.